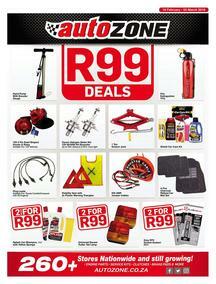 AutoZone is one of the leading distributors of auto parts, spares and accessories in SA. They provide essential car parts to fix vehicles and also provide accessories to customise any sort of vehicle for any taste. One of the largest privately owned auto parts retailers in SA, AutoZone stores offers a fantastic range of house brands catering to every aftermarket category as well as all major brands in the market. 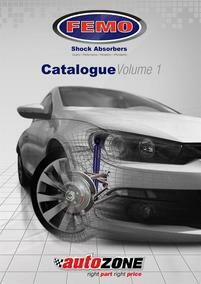 In addition, Autozone stock an extensive range of accessories and also a chemicals product range. Autozone have an impressive number of retail outlets (115 wholly-owned) as well as well as 40 member-owned branches. They also have an impressive supporting base of 688 experienced suppliers whom contribute over 75 000 quality parts. All branches are supported by a refined developed supply chain as well as merchandising and support services. Autozone has franchises throughout South Africa as well as a growing presence in other African countries such as Namibia, Zimbabwe, Botswana and Swaziland. Autozone also offers a VIP loyalty card to their retail customers. The VIP card allows customers to qualify for exciting giveaways, discounts and prizes. After purchase of a product, the card also allows customers to get 1% back on every rand spent at Autozone. Autozone also offers a complete ‘know your vehicle’ guide on their website. The guide is a marvelous value add for customers as it informs users about vehicles and how they work. The guide covers various important aspects, such as how brakes work, the importance of oil changes, and important information about Tyre's, engine cooling information and much more. Autozone, via their website, also offer users helpful tips and advice on vehicles and automotive safety. The website covers aspects such as buying a car, driving in bad weather and much more. Autozone are heavily involved with CSI initiatives within communities that their various stores are situated. They prioritize learning, job creation and nutrition as their main CSI focus areas. Guzzle is proud to showcase products, deals and offerings from Autozone. View specials on their products and browse Autozone catalogues now.